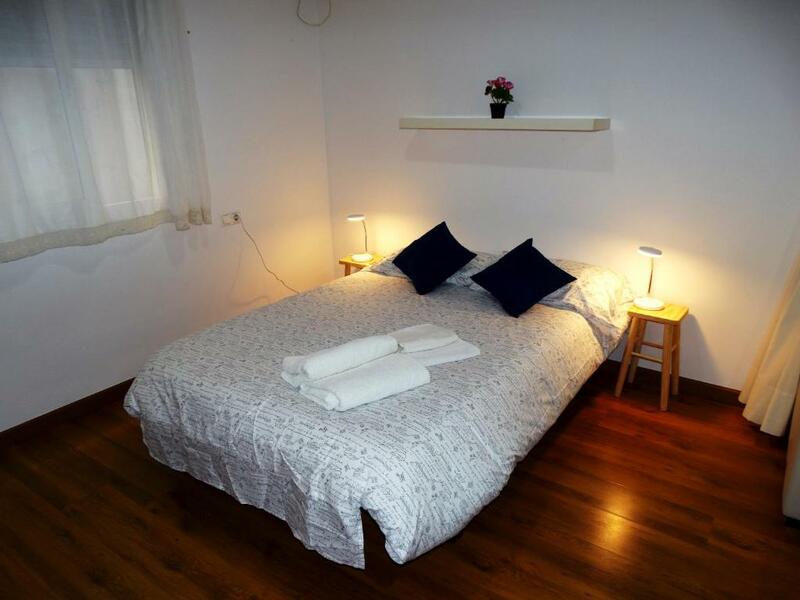 Great location, free parking in the heart of the city, spacious, funky apartment and a very friendly and communicative host. Will definitely stay here again next time in Cordoba! Guillerme, the owner! !! So nice person! And the flat and the location! ! La ubicación muy buena para salir de marcha, justo al lado un local de música española nos gustó mucho, pasear por las calles en dirección a la Mezquita, un paseo agradable!!! Muy buena experiencia, el alojamiento cuenta con una fantástica ubicación, además estaba todo limpio y con todas las comodidades necesarias. El anfitrión muy simpático y atento. Repetiría sin duda. Apartamento muy amplio y tranquilo, ideal para dos personas. 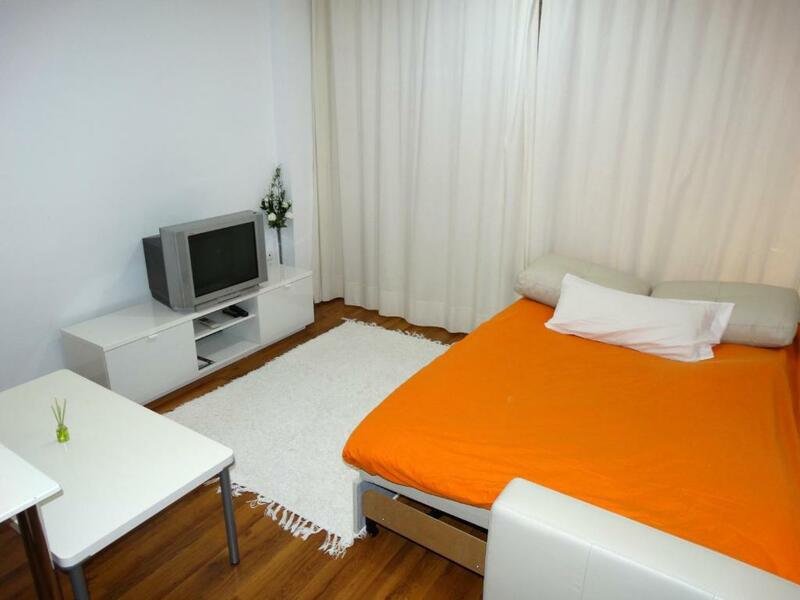 Cama y sillón cómodos. 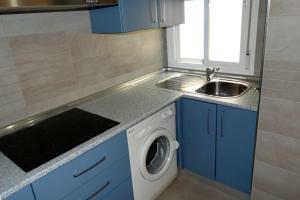 Cocina pequeña pero muy equipada, hasta con lavadora. Cuarto de baño grande. Todo perfecto, el aparcamiento genial también, al lado del parking. Es un parking público y no de los peores que he estado. El alojamiento genial, muy bien ubicado pequeño pero muy práctico, ideal para pernoctar o pasar unos pocos días. Todo muy limpio y cerca del casco antiguo de la ciudad, muy cómodo para pasar unos días en esta maravillosa ciudad! Sin duda lo recomiendo! 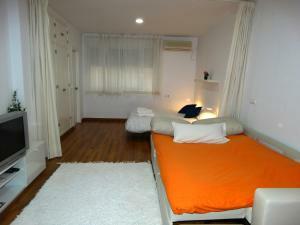 Lock in a great price for Loft in the heart of Córdoba – rated 9 by recent guests! 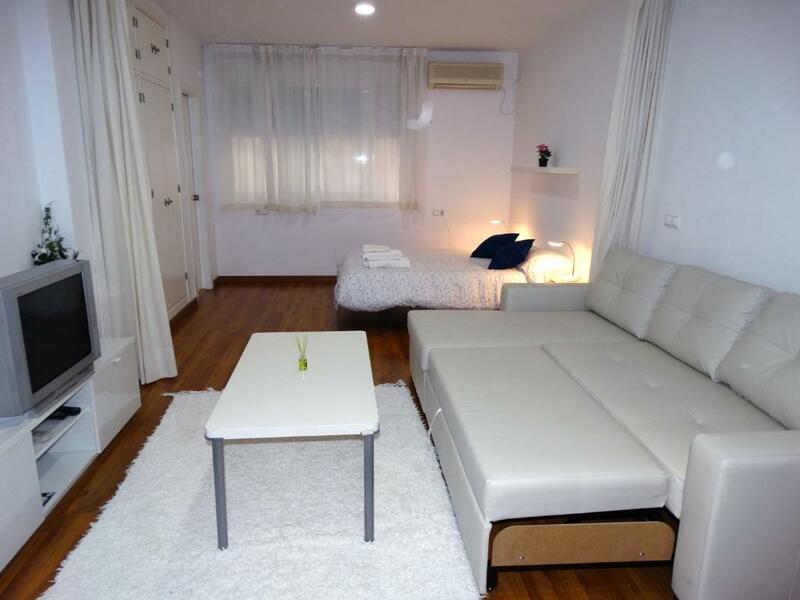 Located in Córdoba, a 14-minute walk from Cordoba Mosque and 1,200 feet from Roman Temple, Loft in the heart of Córdoba offers free WiFi and air conditioning. 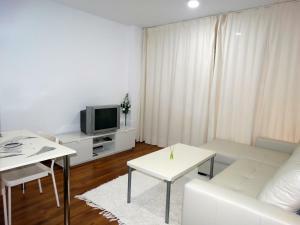 The property is an 18-minute walk from Viana Palace and private parking is available. 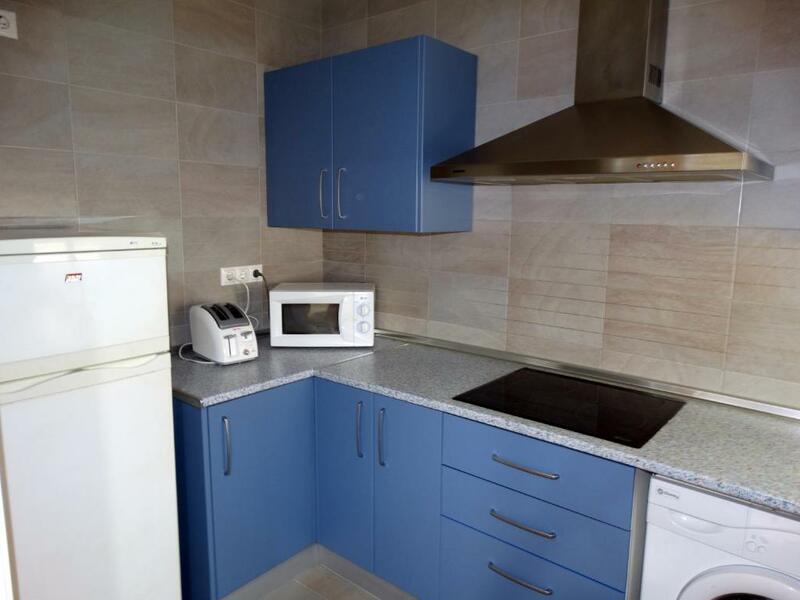 This apartment comes with 1 bedroom, a living room and a fully equipped kitchenette with a microwave and a toaster. A TV is featured. Merced Palace is one mile from the apartment, while Calahorra Tower is 1.2 miles from the property. 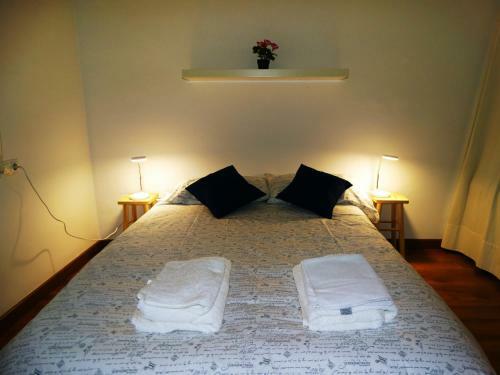 When would you like to stay at Loft in the heart of Córdoba? This apartment has air conditioning, washing machine and toaster. Studio located in the center of Cordoba, 5 minutes from the old town. It has 1 bedroom with a double bed and a single bed, bathroom with all you could need included and a full equipped kitchen. You will be able to visit the Mosque, the Alcázar of Christian Kings, the Roman Temple and also get to know the shopping and leisure area of Cordoba without need of using car or public transport, due to it is very close to the city center. House Rules Loft in the heart of Córdoba takes special requests – add in the next step! Please note that check-in and key collection take place at: C/Conde de Robledo nº6 (Aparcamientos Cordoba S.A.), Córdoba 14008. Please inform Loft in the heart of Córdoba of your expected arrival time in advance. You can use the Special Requests box when booking, or contact the property directly using the contact details in your confirmation.